SAME DAY SHIPPING on orders placed by 3:30 pm ET. 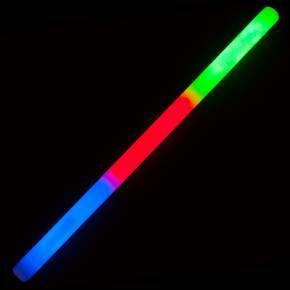 These glow sticks are a full 12 inches long, and are divided into red, green, and blue glow sections. We offer both a 4-pack and a 24-pack. Great for parties! 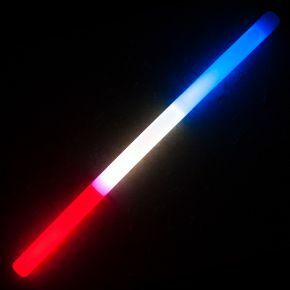 These glow sticks are a full 12 inches long, and are divided into red, white, and blue glow sections. We offer both a 4-pack and a 24-pack. Great for any patriotic celebration! Each pack includes 4 vibrant colors with animal-print spots and stripes! 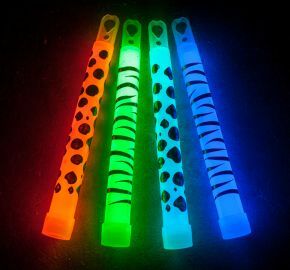 The glow sticks are 6 inches long, and come with red lanyards. Superior Celebrations is a division of Superior Fireworks that specializes in products like sparklers, confetti, and sky lanterns that create special moments at weddings, parties, and other special events. Essentially, our expertise is in being the highlight of the party; we sell the products that everyone will talk about long after the event is over! Many items, including our 20-Inch Wedding Sparklers, Heart Sparklers, and Confetti Cannons, are designed and manufactured exclusively for us to ensure we sell only the highest quality products.